Dallas Personal Trainer - An even less common version of pullovers than the classic Crossbench Pullover, this exercise is a rare one to see being utilized by a Dallas Personal Trainer in spite of its great ability to increase flexibility throughout the lats, chest, and shoulders. 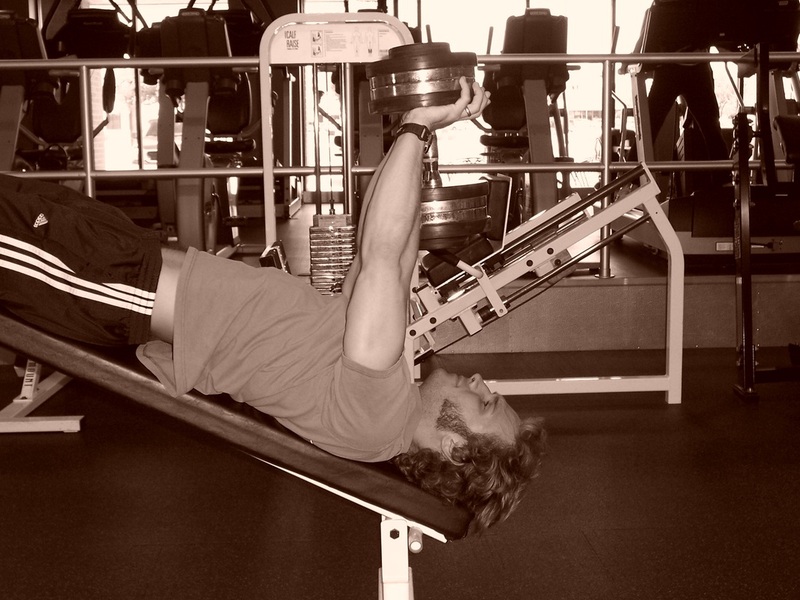 Place a dumbbell on its end on the floor near the edge of a decline bench. 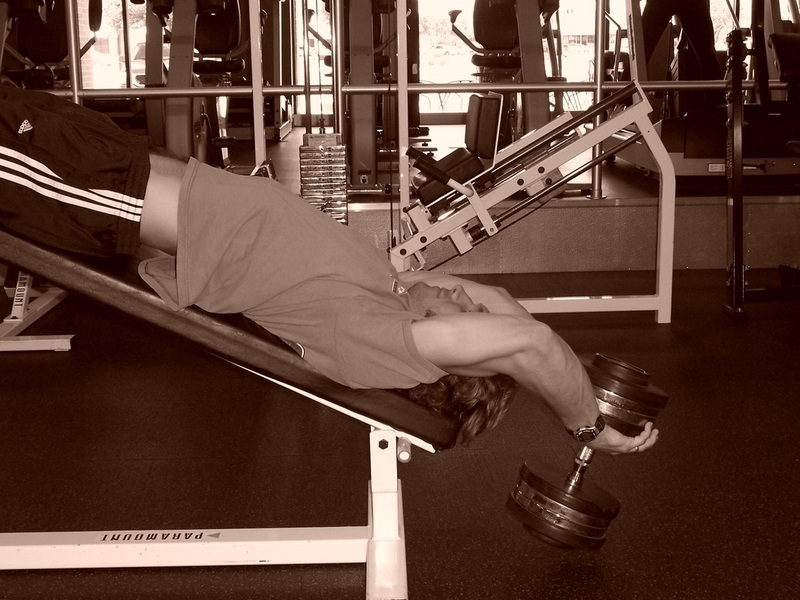 Hook your ankles into the slots on the bench and lay down on your back. Reach back and grab the dumbbell with both hands, palming the plates rather than wrapping your hands around the bar. Pull the dumbbell up and forward by tightly contracting your lats (armpit muscles) and chest. Stop the movement just before your arms reach vertical so that you don't lose the muscle contraction. Squeeze your lats and chest muscles tightly, and then smoothly lower the weight down for another rep. As you lower the weight, keep your arms straight (but not completely locked). Once you reach your flexibility limit, smoothly pull the dumbbell back over you face with your lats while keeping your arms straight throughout the movement. Be sure to breathe in on the way down and out on the way up for this exercise.